Why the Rejuvenator Showerhead? "Skin is our largest organ. Keeping it healthy is extremely important to our overall well-being. Now, thanks to science and innvovation the Rejuvenator Showerhead cleanses, exfoliates and rejuvenates your skin leaving it feeling clean and healthy. 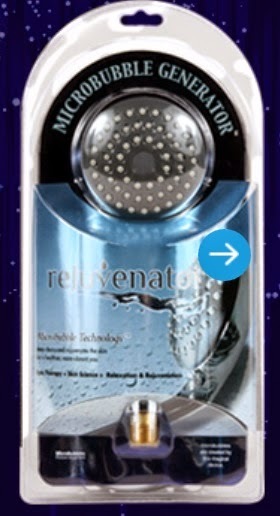 The Rejuvenator creates billions of microbubbles, which are infused into the water streams creating a stimulating refreshing feeling, like a cascading waterfall, penetrating deep into the skin, effectively removing dirt and oil deep within your pores!" The Rejuvenator Showerhead has microbubble technology. Microbubbles deep-clean your face, skin and hair. The bubble are so tiny they penetrate through the pores, attracting impurities, binding to them and then carrying the impurities out. They are rinsed away with the water. It is easy to install and requires no tools! Just screw in the adapter! 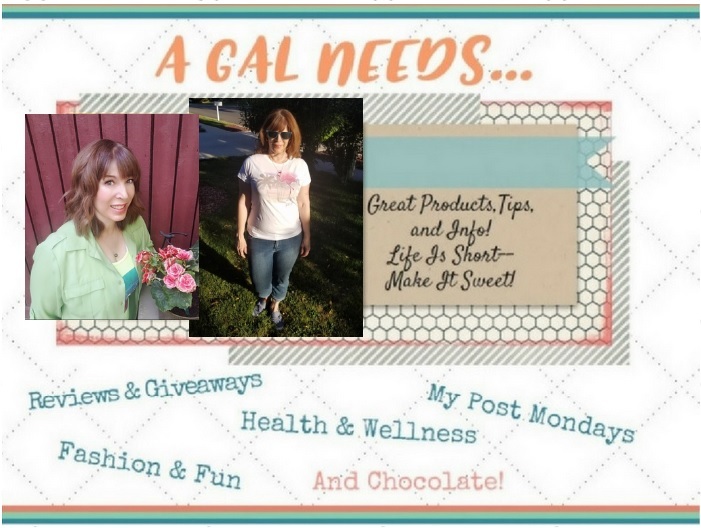 Helena, at A GAL NEEDS...had the opportunity to review this amazing showerhead! Read more about it here! One reader will win their own Rejuvenator and have the benefit of Microbubble Technology in their home! Enter in the Rafflecopter below. 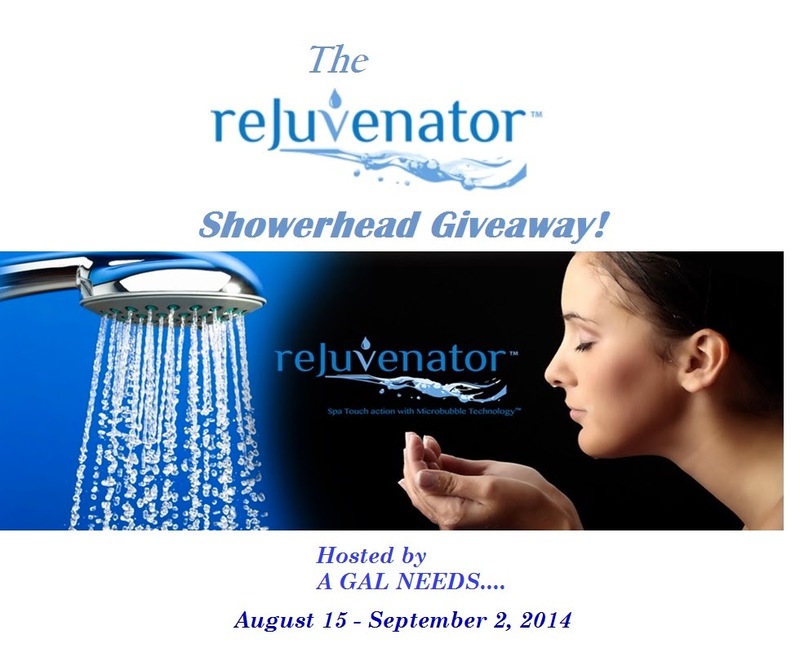 If you have won a Rejuvenator Showerhead in the last 12 months, you are not eligible to win this giveaway. Entrants must be 18 years of age and older, US only, and will be verified. For additional guidelines, please read the disclosure statement on the Rafflecopter below. I am a shower person that is for sure!! Awesome showerhead. Thanks for a chance to win one! It depends on what I want to accomplish. i love showers after a good workout and a bath when I want to relax! i am a shower person. I'm a shower person. I don't bathe. I LOVE showers. I can easily stand in the shower for 30 mins just letting the stress of the day melt away. I am a shower person, I feel cleaner and ready to go on with the day. I do love a bath for relaxing though. I like showers in the morning because they wake me up and make me feel clean and ready for the day. About once a week though I love a relaxing bath in the evening before bed. I love baths, but my husband and sons would really appreciate this! Shower. I hate the thought of sitting in my own filth. LOL! I am a shower gal. I am not sure why I don't like baths that much. Not even just to relax. Thanks for the chance! It is an incredible looking showerhead. It amazing the way the water shoots out. I'd love to win!! I like showers best because they are quicker and I feel cleaner when I am done. This shower head looks and sounds amazing. I usually take a shower to save time, but I love to soak in a hot bath! a bath, i love to soak! Definitely a shower person! Most of the time it's so I can be quick. I take mostly showers. But, I do love baths, esp. with bubbles. I don't take many baths though because the water gets cold too fast. I take showers mostly but if I really need to relax and calm myself I take a bath. Showers are to get clean while baths are to enjoy. Shower, I only take baths when sick or sore. I like both, but I am probably more of a shower person! All of the grime of the day rolls off me. Baths make me feel as if I'm sitting in my filth, even if I take a shower beforehand! Depends how much time I have... I love a good soak in a tub, but I NEED that invigorating morning shower to get going for the day! Shower, mostly bc I don't have time with kids for a bath! I like a shower because it's cleaner and quicker. I love bathing in the shower!!!! Haha, I have a shower/bath combo, and I like to turn on the shower, sit in the tub, and stop up the tub. It's absolutely wonderful, and especially nice when I have a migraine. Sometimes I'll turn out the lights and put some candles around me to de-stress. I am a shower person usually because I am in a hurry. I am definitely a shower person - have not taken a bath in years. I'm mostly a shower person, but I have a great tub and every once in awhile I take a long soak to relax. I was a bath person, but there's no working bathtub in this house we're in now. I'm an unwilling shower person! I'm a shower person. It is more refreshing and uses less water. I love both! I prefer a shower to feel cleaner though. Shower is best! Clean water at least! Bath person, because I love to relax in the suds. I love both because baths are pampering but showers are quicker so I take more showers than baths. I love the shower, because it's quick.